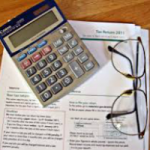 Preparing your own income tax return can be a task that leaves you with more questions than answers. As a leading Miami CPA firm, we provide comprehensive tax planning and tax preparation services to small and mid-sized businesses and individuals. Our clients rely on us to stay abreast of changing tax laws and provide sound advice based on our extensive and wide-ranging experience. Whether you are a small business owner seeking proactive tax planning or an individual who wants to get the most back on their tax return, Canner, Brody & Yan, LLC is here to help. If you own a small business and have not kept up your bookkeeping, the tax professionals at Canner, Brody & Yan, LLC can help. We can prepare your bookkeeping for the year, prepare a full Schedule C, as well as your personal income tax return in order to help you set up an easy system that allows you to keep your books in shape for the following year. At Canner, Brody & Yan, LLC we go beyond compliance to develop a comprehensive tax strategy aimed at saving your business the most money on taxes. We are well-versed in the latest tax laws and regulations and use every opportunity to reduce your tax liability as your business evolves. We can advise you on which business entity will afford maximum long-term tax savings so your business can retain higher profits. Together, we will assess your needs and discuss our comprehensive menu of tax planning and preparation services, call the tax professionals at Canner, Brody & Yan, LLC today for your free initial consultation. Our accounting firm offers a free consultation to local business owners and individuals. Please call us or complete our form and we will contact you.